At La Paz Waterfall Gardens & Peace Lodge, we interviewed Hazel Gonzalez, La Paz Waterfall Garden’s Weddings Coordinator, and the Peace Lodge’s manager, who granted us access to the park’s locations for elopements, wedding ceremonies, receptions, and dinners, a honeymoon suite, and its amenities. We wrote the article and organized the photos from the perspective of a couple searching for a distinctive place to get married to help you find the information most important to you quickly and to see the resort as you would on your wedding day. The Peace Lodge & La Paz Waterfall Gardens is about a 1-hour drive directly north from the Juan Sanatamaria International Airport. It is just off the main highway that goes through Poas and is situated in the mountainous cloud forests surrounding the Poas Volcano. Round-trip transportation from the airport is provided by the resort and they can also arrange transportation to and from any other attraction or activity in Poas or in the surrounding regions, such as La Fortuna. 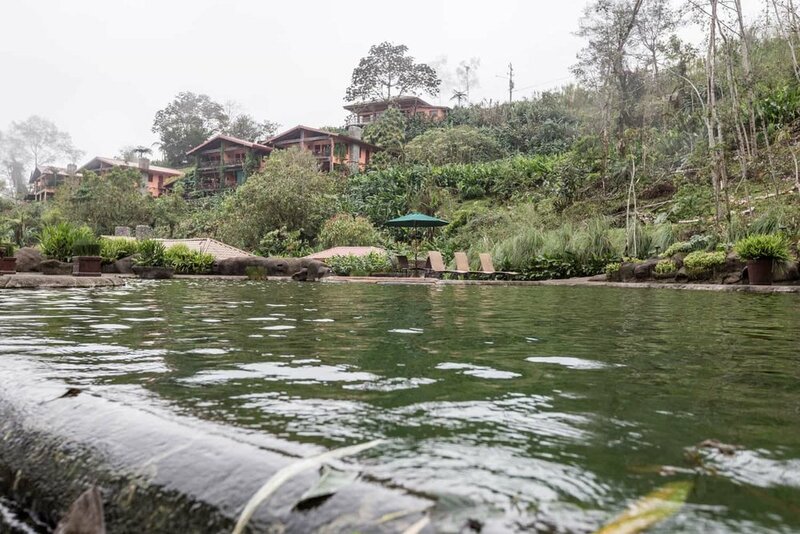 The Peace Lodge is an intimate, 5-Star boutique resort located on the La Paz Waterfall Gardens property that has been in business since 2000. It is an ideal location couple looking for a nature, waterfall, and cloud forest-inspired wedding, elopement, or honeymoon in luxurious accommodations. 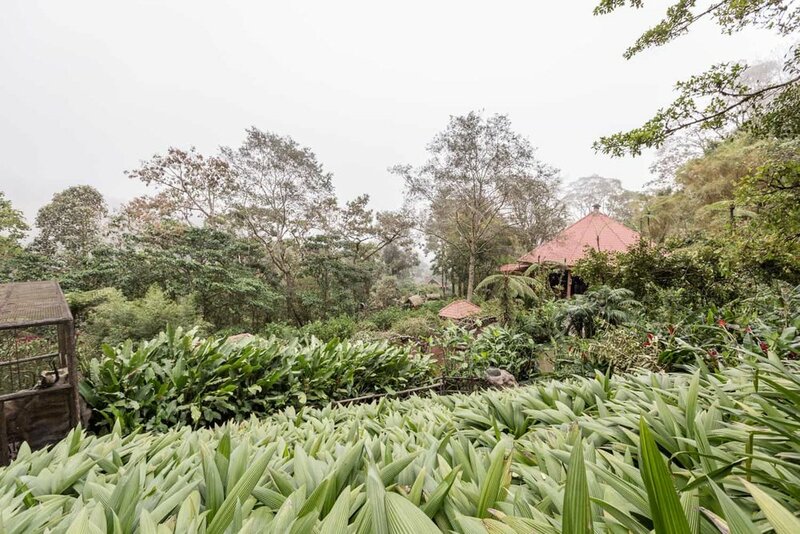 The lodge’s 16 guest rooms and two villas were built on a hillside facing the Poas Volcano and cloud forest within walking distance to many of the park’s attractions. 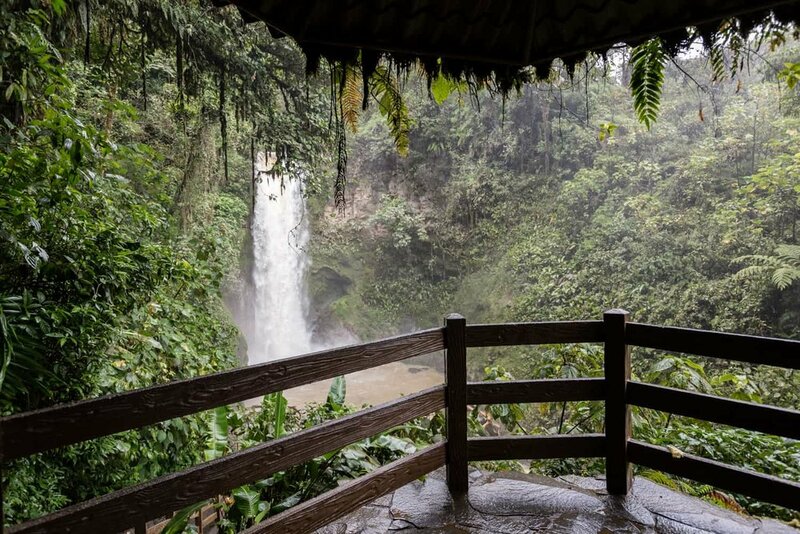 La Paz Waterfall Gardens is one of the largest ecological attractions in Costa Rica that is privately owned that has an animal sanctuary with hundreds of animals and access to some of the most spectacular waterfalls in Costa Rica. Why The Resort Is so Unique? 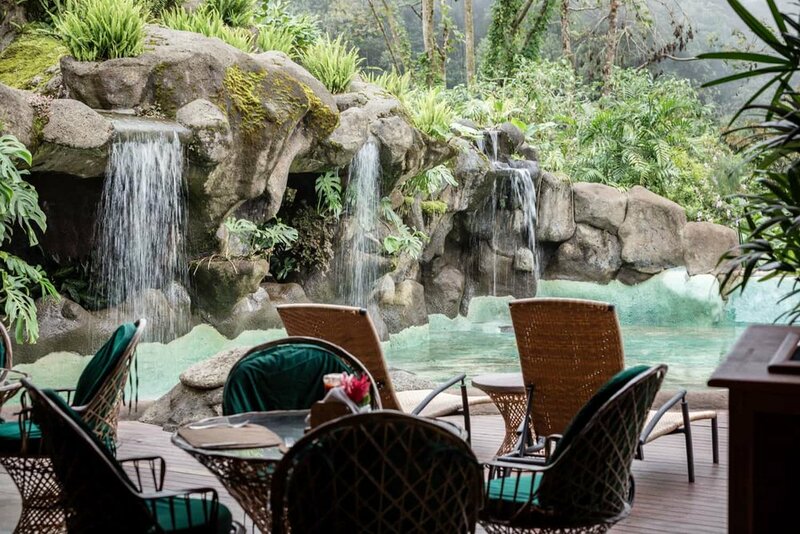 The Peace lodge is unique given its location at the La Paz Waterfall Gardens’ park and its limited number of first-class accommodations overlooking a magnificent cloud forest and volcano with first-class customer service, as well as its proximity to Poas Volcano National Park. What makes the La Paz Waterfall Gardens unique is its dedication to preserving nature and animals, as well as its aviary, animal sanctuaries for felines, primates, and reptiles, its aviary, butterfly conservatory, humming bird garden, hiking trails in the Poas cloud forest, and access to breathtaking waterfalls. There are many details to consider when planning a destination wedding. Two important considerations are the weather and when the high and low seasons are. The temperature at the resort and gardens is nice and cool, hovering in the mid to low 70s throughout the year, depending on the altitude, with high humidity. The rainy season – the winter in Costa Rica – spans from late April to late November with August – September being the wettest months. It can rain at any time of day in the rainy season, but it mostly rains in the afternoon and night. The lodge and the resort are prepared for the on your wedding day. They have ample covered and indoor locations for your wedding ceremony and reception that will ensure you have wonderful views. Traditionally, from December to late March – the summer in Costa Rica – is the busy season and late March to mid December the slow season. 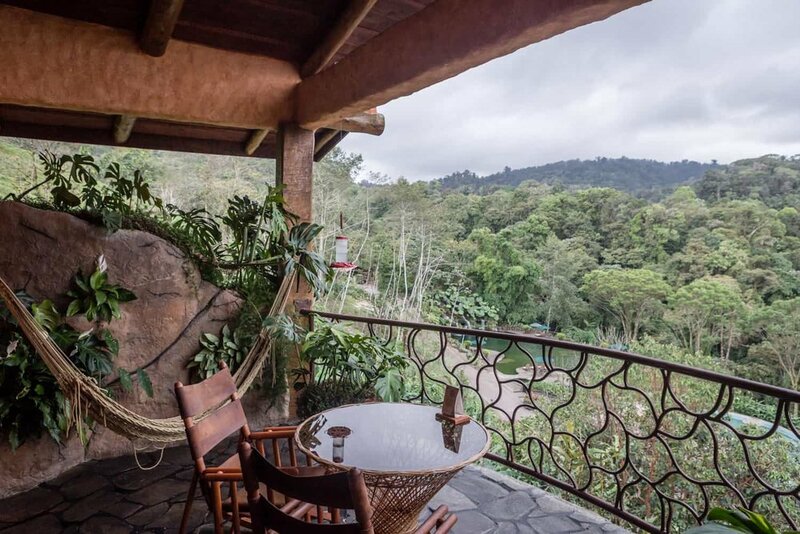 Travel and lodging expenses in Costa Rica during the peak season will be higher and the demand for accommodation will be higher, making them more expensive. 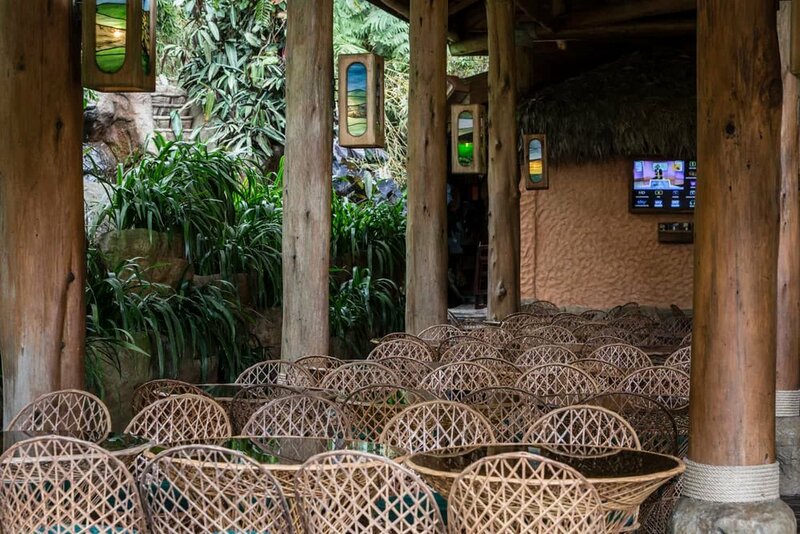 Taking into consideration that La Paz Waterfall Gardens has high attendance regardless of the season and that Peace Lodge has a limited number of rooms, if you want to have your wedding there, it is advisable to plan it quite a bit in advance. View of the Poas Volcano from Peace Lodge Reception Building balcony. Hazel Gonzalez (weddings@waterfallgardens.com), Peace Lodge & La Paz Waterfall Garden’s in-house wedding planner, has been with the resort for 7 years and has been the wedding organizer for one year. The resort offers wedding and elopement packages and Ms. Gonzalez can provide you with a list of recommended providers for your wedding day – the officiant, entertainment, photographer, videographer, hair stylist and makeup artist – upon request. Their onsite florist and baker can provide you with the floral arrangements, wedding bouquet, and wedding cake for your big day. For Ms. Gonzalez and her team, their desire is to make sure your wedding day needs are met, and that you have a fabulous wedding at Peace Lodge & La Paz Waterfall Gardens. On your wedding day, have the hair stylist, makeup artist, and manicurist your choose do your hair, put on your wedding day makeup, and give you a manicure and pedicure in the comport of your room at Peace Lodge. If time permits, you can even have a couple’s massage before saying I do in their spa. According to Ms. Gonzalez, the largest wedding party they can accommodate is 25 -30 people and they can handle 1 wedding per day. 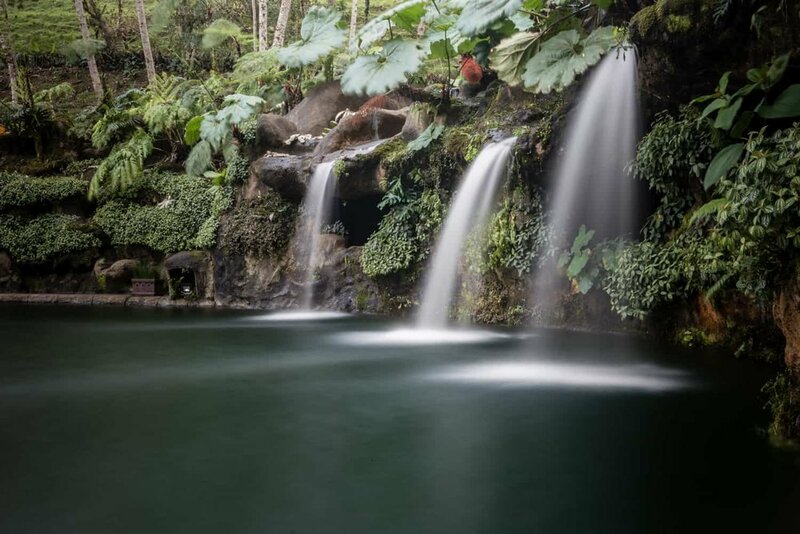 This limitation is due to the reduced size of the majority of the wedding ceremony venues at La Paz Waterfall Gardens, and to the fact it is a park that holds weddings in common locations for park attendees. As such, they specialize in small, intimate traditional and non-traditional weddings as well as elopements. There is one site that can handle all the events of a wedding with 80 guests, but it is not at one of the intimate picturesque locations. The Peace Lodge without a doubt will exceed your lodging expectations for you and your fiancé and that of your family and friends who stay at the lodge. They have 8 Standard Guest rooms, 8 Deluxe Guest rooms – any of which with a king bed they can convert into a honeymoon suite – and two villas – Monarch Villa and Villa Lago that have great views. 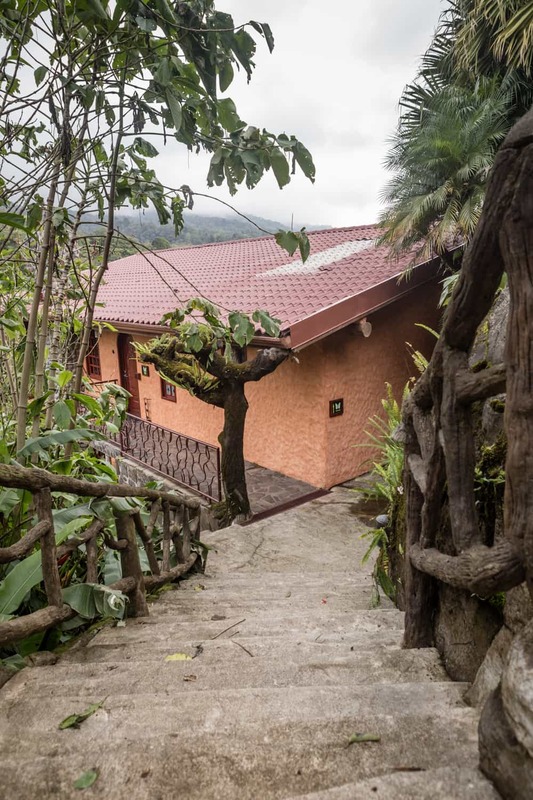 All the rooms are built on a hillside at La Paz Waterfall Gardens and are within walking distance to the garden’s attractions and entrance to the trails leading to the waterfalls. None of the rooms are equipped with air conditioning given the cool climate in Poas. For an idea of the style, quality, and views of their accommodations and the honeymoon suite, check out the images in the photo galleries below. The Deluxe Guest Room – the Honeymoon Suite when decorated accordingly – at the Peace Lodge is a marvelous room to spend your wedding night. All Deluxe Guest Rooms are on the second floor and come with a mountain-facing balcony with an outside hot tub and hammock, a large garden-styled bathroom with a Jacuzzi tub with a 7-foot waterfall in the background that are illuminated by a skylight, and a two showers, one with natural stone walls and floors and the other with water flowing from an above waterfall if you desire. 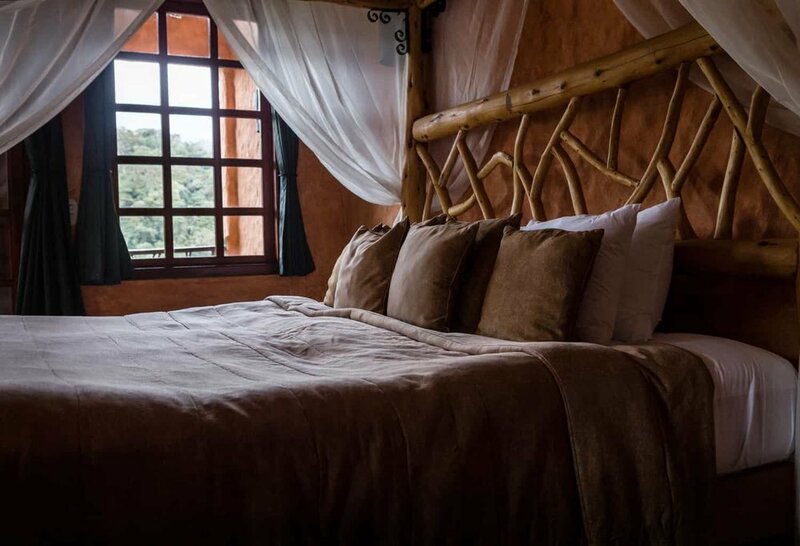 The honeymoon suite bedroom comes with a king size canopy bed from where you can see the cloud forest and mountains in the near distance and from where you can enjoy the warmth coming from the stone gas-powered fireplace on cool nights while with your beloved after saying I do. The non-honeymoon suite version of the Deluxe Guest Room comes with two full size beds and has the same amenities. On the day of our photography session, the Peace Lodge had no vacancy, and the guests who had reserved the above Deluxe Guest Room had yet to arrive. As such, we are unable to provide you with photos of the other accommodations. We did, however, manage to get the details of the other rooms, which are provided below. Know that the views and the quality and choice of furniture and finishings are the same across the different rooms and villas. Located on the bottom floor, the lodge’s Standard Guest Rooms are same as the Deluxe Guest Rooms minus the outside hot tub, waterfall shower, and indoor garden-inspired Jacuzzi. They come with either a king size canopy bed or two full size beds, and the bathroom does have a large natural stone hot tub for your friends or family to enjoy during their stay for your wedding day. If you want to go all out on your wedding night, you can make the Peace Lodge’s Monarch Villa into a your personal 1,200 sq. ft., two-bedroom, wood-floored, honeymoon suite. 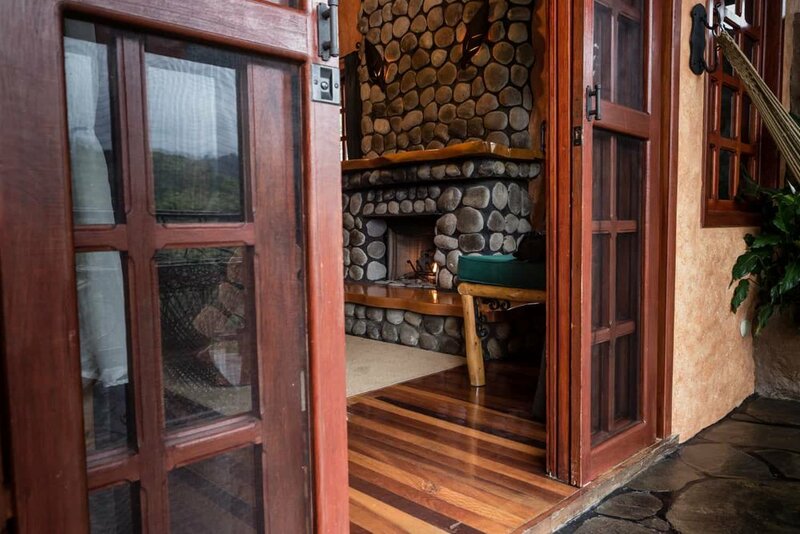 Its master bedroom and bathroom are about as large as the Deluxe Guest Room, and has canopy king bed, a fireplace, a balcony from where you can enjoy the majestic Poas Volcano and cloud forest, a natural-stone jacuzzi tub, and a waterfall shower. Its homey living area has a full-size couch, a fireplace and a large balcony and one end, and at the other end there is a loft with single and queen size bed and full bathroom. Under the loft, you will find a dining area with a kitchenette in case you just want to stay in side with your beloved after your wedding day. Peace Lodge’s Villa Lago is the updated version of the Monarch Villa. Although it is still country in its appearance, it is less rustic and more modern with a different color pallet, furniture, and fixtures. It is just as large if not larger, has similar views of the countryside from its large covered balcony, has natural stone floors and walls in its bathrooms with Jacuzzi tub in the master bathroom, and has a full-size kitchen. In either villa, you or your family and friends will have an unbelievable wedding experience. Need a photographer to tell your unique wedding day story? Your story is our story. Let us tell if for you. 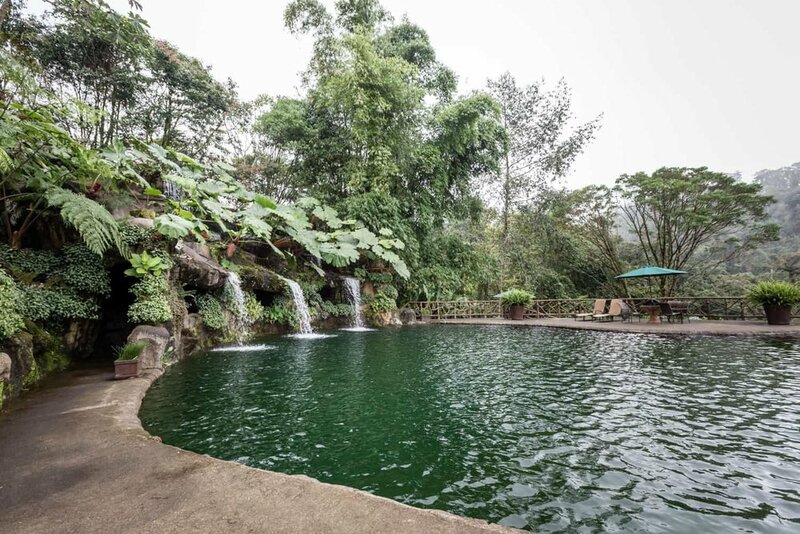 If you are looking for a stunning location for your wedding or elopement, Peace Lodge and La Paz Waterfall Gardens has various sites for an amazing, nature-inspired wedding near breathtaking waterfalls in a cloud forest, a hummingbird garden, or at their butterfly observatory. Wedding events at Peace Lodge & La Paz Waterfall Gardens generally take place in separate locations. Wedding ceremonies usually take place at one of the sites numbered 1-6 below. These sites are small and suitable only for small and intimate wedding ceremonies and elopements. 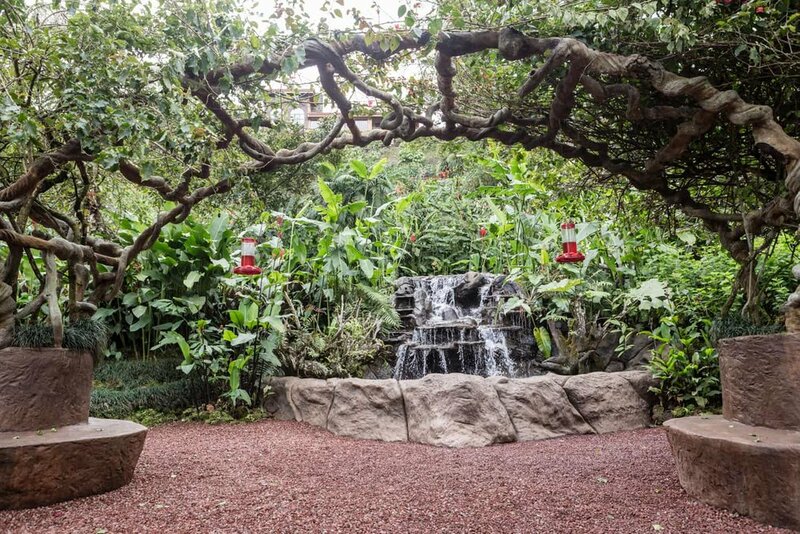 Additionally, they are part of La Paz Waterfall Gardens, and therefore are common areas accessible to park visitors. After the ceremony, the wedding party typically goes to Big Trout Bar & Lake – site 7 – for the wedding reception and dinner, which is part of Peace Lodge and not accessible to park attendees. 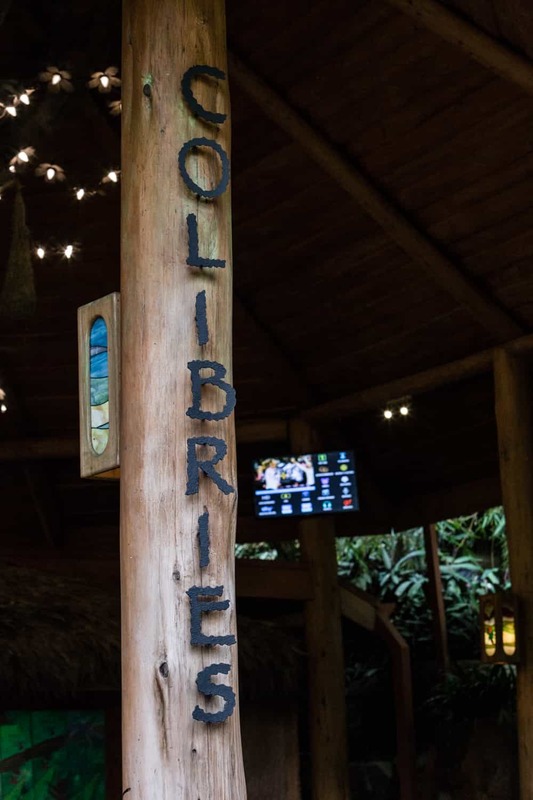 For weddings consisting of 35 - 80 people, Colibries Restaurant is an option to have to have all your wedding events – the ceremony, reception, and dinner –, but keep in mind, this is the main restaurant for park visitors, and your privacy may be limited. * Some wedding ceremony locations – sites 1-4 – require a substantial round-trip walk on at times steep stairs that lead to the waterfalls. Ensure you and your guests are physically able to make the walk, that you wear appropriate shoes, and have a way to secure your wedding dress to prevent it from getting sullied on the walk. These are beautiful venues for an unforgettable wedding ceremony. It is worth the effort. 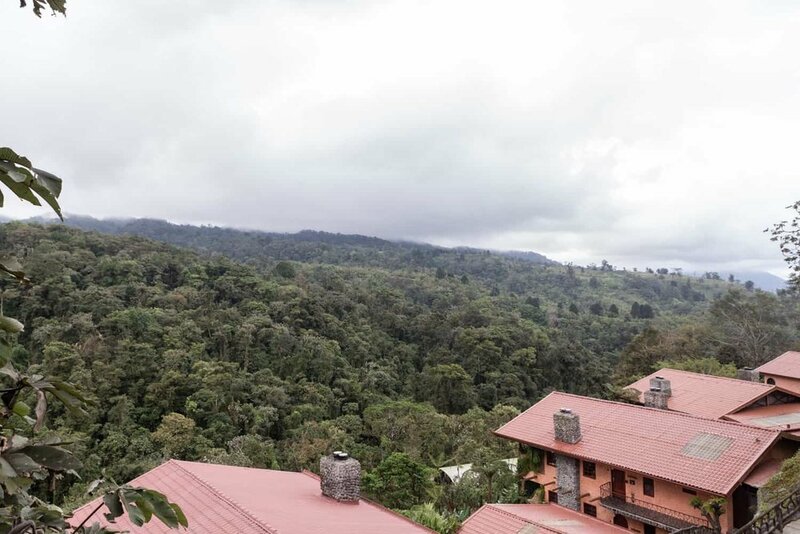 Also, it is advisable to bring a jacket due to the cool climate of the cloud forests, which is even cooler when the mist arrives and after sunset, especially if there is a breeze or wind, which is not uncommon. Here is a complete and detailed list of wedding locations at Peace Lodge & La Paz Waterfall Gardens that includes a photo gallery to help you choose the site that is right for you. 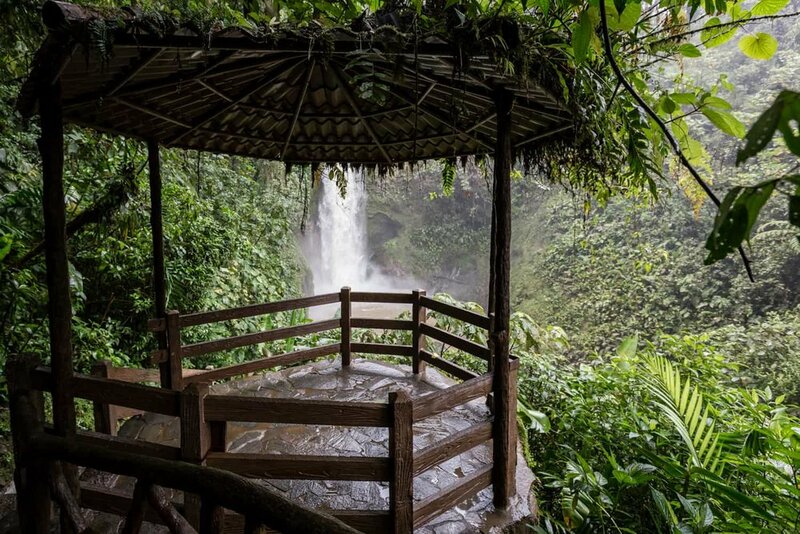 The first of two ceremony locations at Magia Blanca Waterfall is a gazebo that makes for great waterfall elopements and ceremonies of 10-15 people. The gazebo is hut-type structure perched atop a hill overlooking the large gully into which the White Magic Waterfall's water pours. It has an amazing view of the waterfall and cloud forest and is a wonderful place to tie the knot. 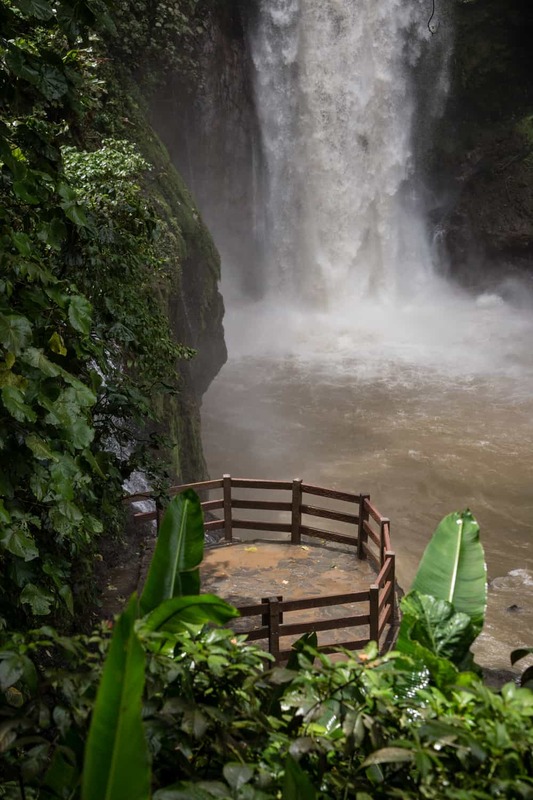 The second site, the Magia Blanca Waterfall Platform, accommodates elopements and weddings of of 20 or fewer guests. 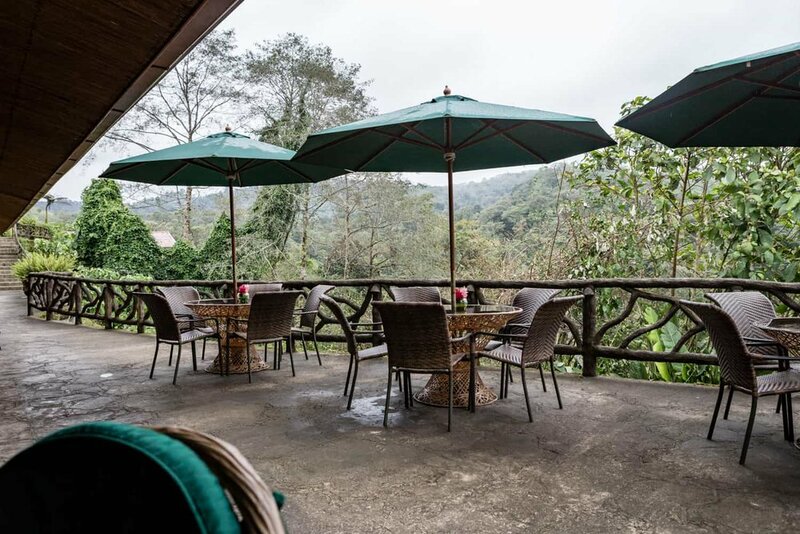 The terrace is about a 200 meter walk downstairs from the Templo Waterfall Gazebo and is about 100-150 meters from the base of the waterfall. Due to its proximity to the waterfall, you can hear the constant roar of the water as it plunges down the mountain, which also causes it to be enveloped in a constant mist, which can make for a unique wedding experience. The terrace at El Templo Waterfall accommodates ceremonies and elopements of no more than15-20 guests. 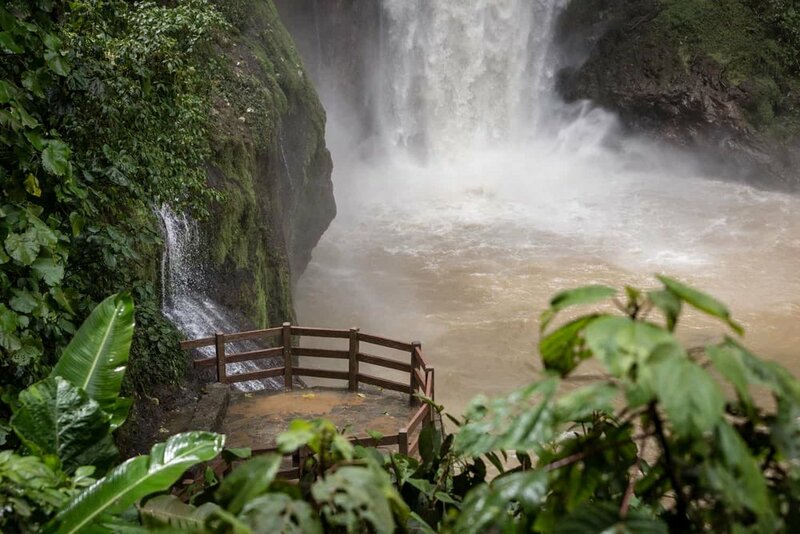 The Magia Blanca Waterfall Platform – located at first waterfall on the trail – is situated on the hillside of the ravine made by the Magia Blanca River, provides excellent views of the waterfall and the river. *While at the resort, this site was not accessible as it was undergoing repairs caused by Tropical Storm Nate the week before. As such, we were not able to photograph it or its views. Our apologies. The Magia Blanca River Bank is for wedding ceremonies or elopements only and can handle 15-20 guests maximum. 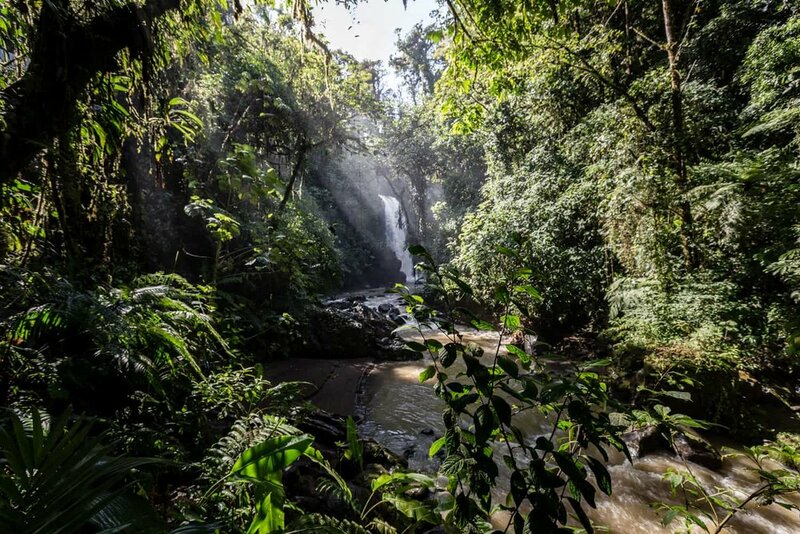 The shore is at the base of a deep ravine in the cloud forest through which the White Magic Rivers flows and it is about 300 – 400 meters downstream from the base of the waterfall. In the morning, if there is no fog and it is not overcast, the sun falls on the waterfall and enters the ravine in rays of light, illuminating the mist coming from the waterfall. Whether you get married on the terrace or on the riverbank of the Templo Waterfall, there is a bridge that crosses the river that is great for wedding portraits after your ceremony. For wedding ceremonies with no more than 15 – 20 guests, the Butterfly Observatory & Garden is a memorable place to say I do. Located near the Hummingbird Garden, it is an enclosed area in which hundreds, if not thousands of butterflies live their life in tranquility, floating here and there as soft music fills the garden, resting on a leaf, then feasting on the flowers growing in the garden and the fruit left in the feeder. The Hummingbird Garden is truly unique wedding venue for ceremonies only consisting of 15 – 20 guests. The garden is location near the Colibries (Hummingbirds) restaurant near the Butterfly Garden Observatory and animal sanctuary. 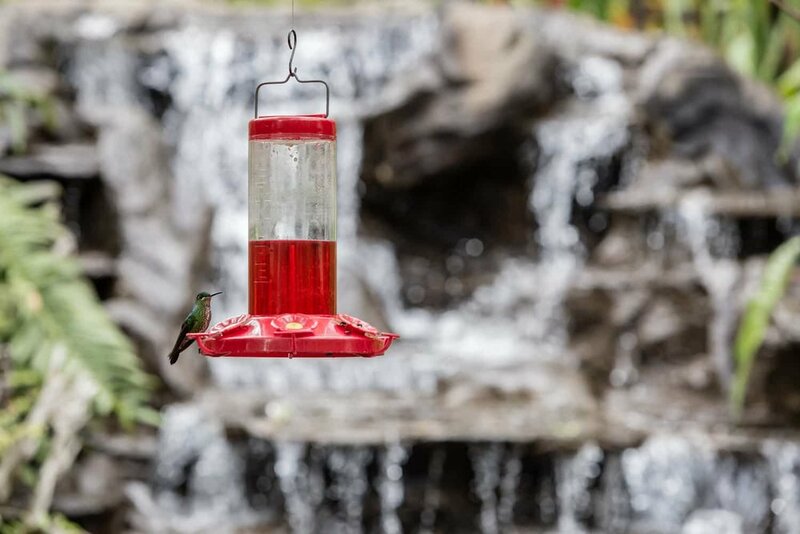 As you say your vows, hummingbirds will zip about, buzzing here and there, going from one feeder to the next, with the sound of cascading water emanating from the waterfall near the arched flowered trees in the center of the garden. 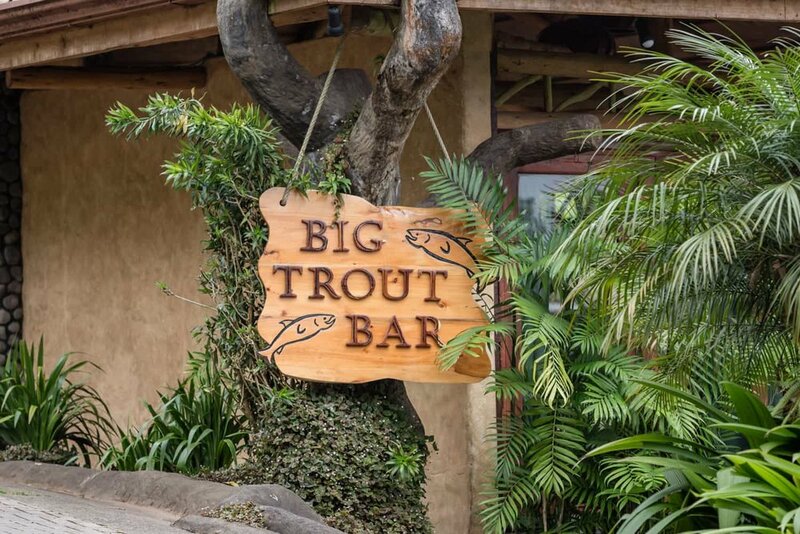 Big Trout Bar & Lake is the primary location for wedding receptions and dinners and can accommodate wedding parties of 25- 30 guests. The bar’s theme is fishing, and its décor and ambiance is a cross between an American-style sports bar, an angler hangout, and casual dining experience. 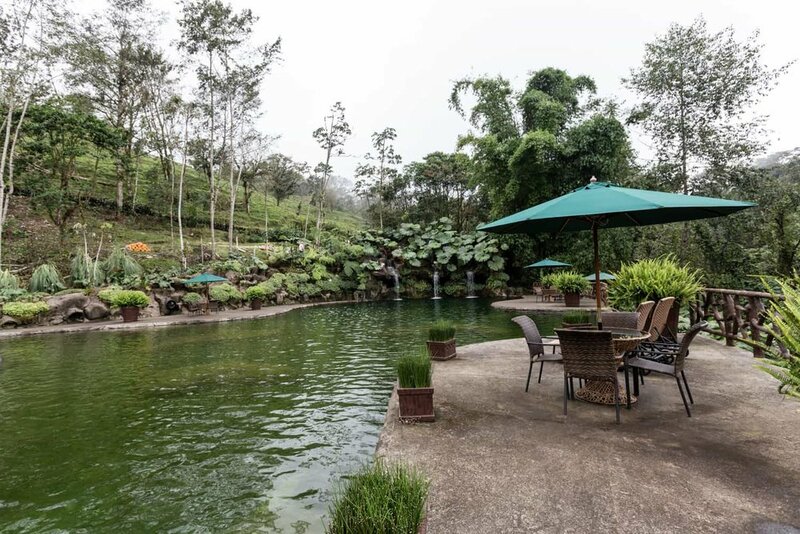 It has an indoor area that opens to a deck next to a pool and hot tub that overlooks the Poas Volcano and cloud forest, in case you want to trash the dress while taking in the sights. Adjacent to the bar on a higher level, there is a larger pool with 3 waterfalls and deck where you can fish for trout. It could make for a very interesting wedding reception. The tales the men will tell after a few cold ones. * The day before the photo session, the pool was drained to remove the debris generated by Tropical Storm Nate the week before. Colibries Restaurant (Hummingbird Restaurant) can accommodate weddings – the ceremony, reception, and dinner - with a maximum of 80 guests. It has one seating area in the front that is serviced by the main buffet station and another seating in the rear where there is a buffet island used when there are larger or separate events. 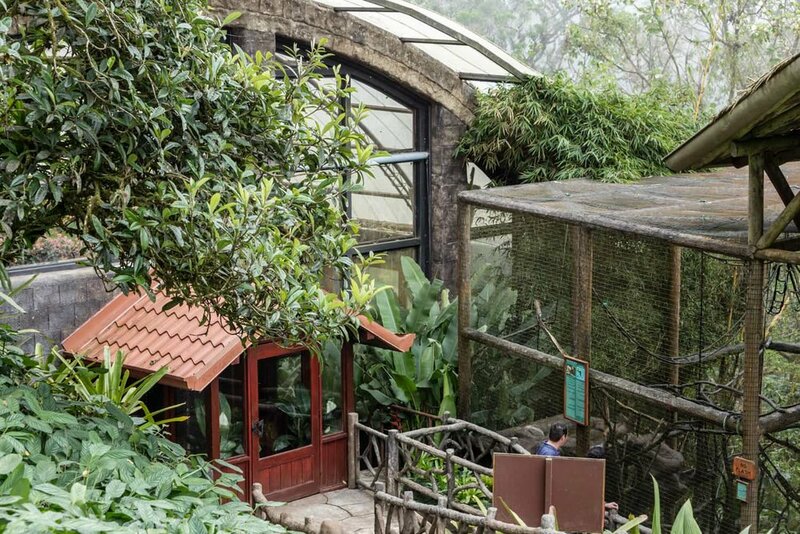 * This is the primary restaurant for La Paz Waterfall Gardens’ day visitors. If considering a larger wedding that only Colibries Restaurant can accommodate, we suggest contacting Ms. Gonzalez to inquire at what time of day it can take place. 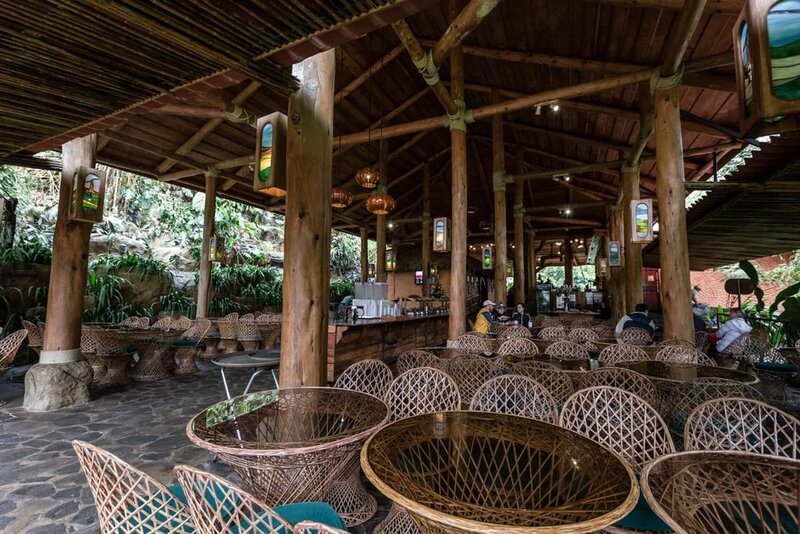 For La Paz Waterfall Gardens visitors and Peace Lodge guests, there are three restaurants for their dining needs. Tortillas Restaurant and Colibries Restaurant (see number 8 in the previous section) are a casual lunch experience whereas Vista Poas Restaurant is a more fine dining experience. 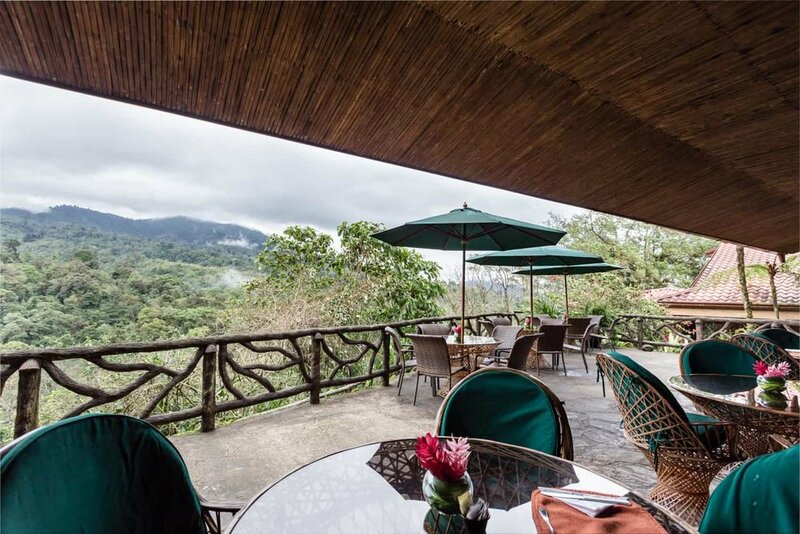 Both restaurants are situated on a hillside overlooking the Poas cloud forest and Poas Volcano and are both located in the same building with Vista Poas located above Tortillas Restaurant. 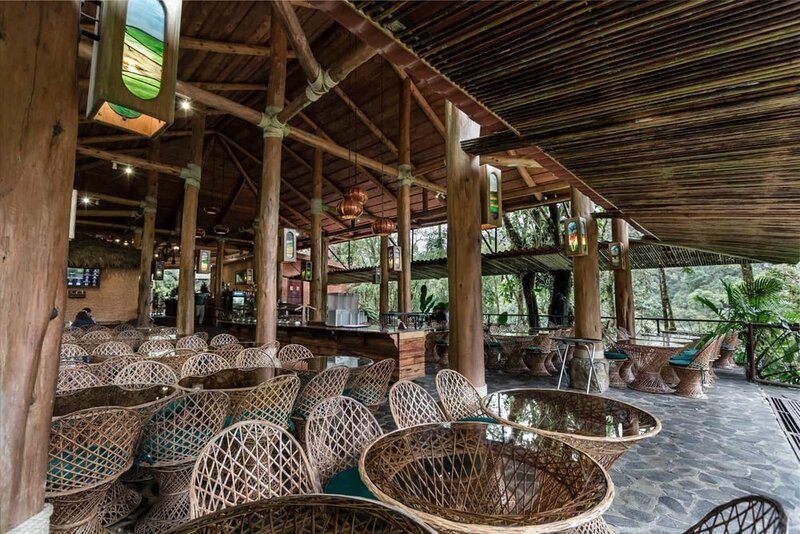 Tortillas Restaurant has an indoor and outdoor section on a terrace that overlooks the Poas Volcano and cloud forest. This restaurant is not used for wedding receptions or dinners. It is for guests staying at Peace Lodge and La Paz Waterfall Gardens visitors. If staying at the resort for a few days for your wedding, it is a great place to have a bite to eat before or after your wedding. Vista Poas, located just above Tortillas Restaurant, is not used for receptions or differs for weddings either. It is the fine dining restaurant for park attendees and Peace Lodge guests. It is a beautiful place where you can have an intimate, romantic dinner and enjoy lovely views. 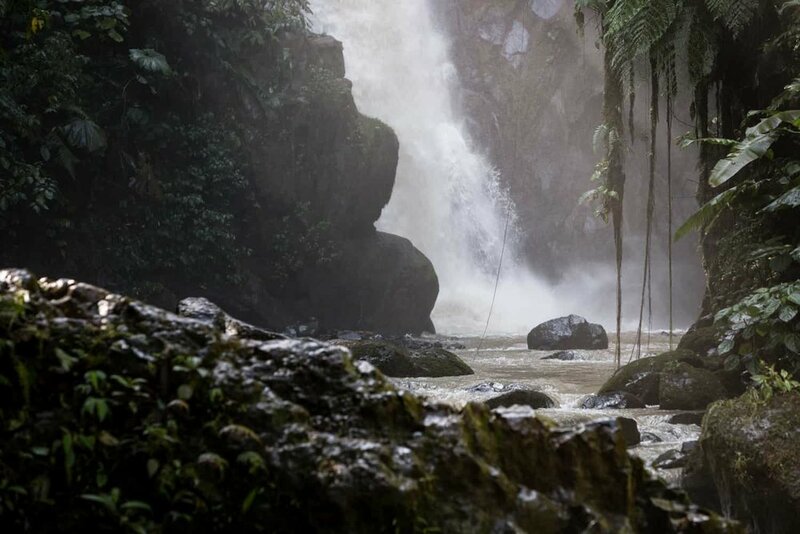 Dreaming of a cloud forest & waterfall wedding? La Paz Waterfall Gardens & Peace Lodge is just the place. Find out if they are right for you. 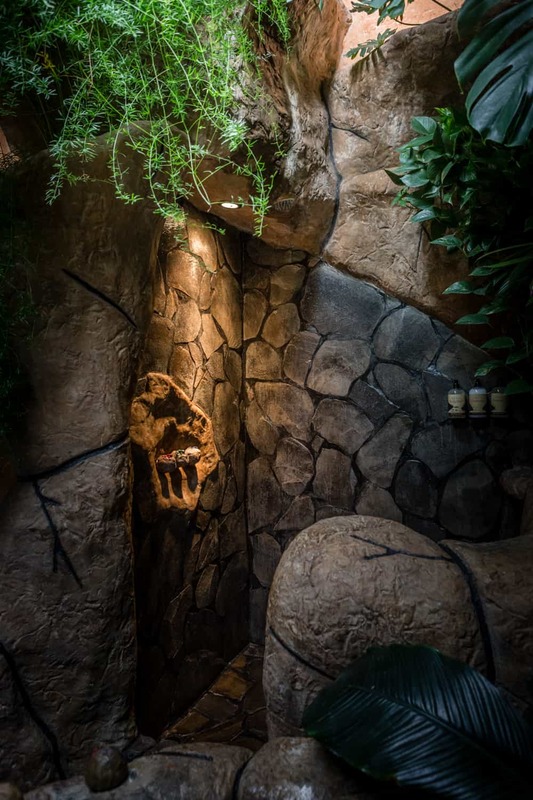 While in Poas and at Peace Lodge of La Paz Waterfall Gardens for your destination wedding, there are many natural sights, activities, and excursions to fill your days before and after saying I do. 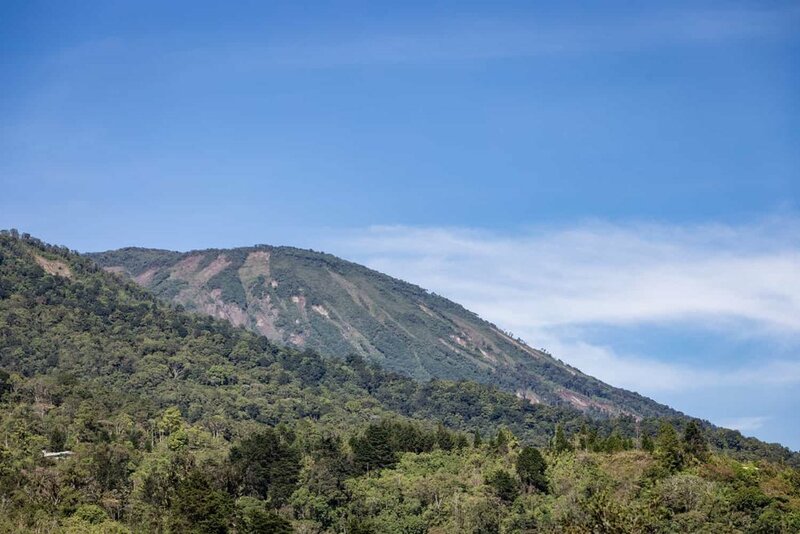 From most places at the resort, you can see the Poas Volcano and acres and acres of cloud forest, which means you will be treated to enormous mountains of mist that roll over the mountains and engulf everything. You can hike on a trail to experience 5 amazing waterfalls and exotic flora, and see and hear magical birds singing sweetly. The park also has an interactive hummingbird garden and butterfly observatory, in addition to an animal sanctuary where you can see primates, felines, reptiles, and birds. Near the Peace Lodge, next to Big Trout Bar, there is also a lake, well a large pool, where you can fish for trout that is next to Big Trout Bar. Peace Lodge of La Paz Waterfall Gardens can organize excursions and activities via a local tour company that provides round-trip transportation, such horseback riding, coffee tours, and tours to the Poas Volcano National Park (the park closes if there is volcanic activity, so check ahead) among others. Poas also has great strawberries. They go great with chocolate as a wedding day treat. Your big day is on the horizon. All those countless hours invested in planning your wedding are about to come to fruition. You are finally at the resort after traveling many hours. You need to relax, to be pampered. A spa treatment is at Ventanas Verdes Spa is just what you need to make saying I do so much more memorable. Ventanas Verdes (Green Windows) is Peace Lodge & La Paz Waterfall Gardens’ spa. Since the main focus of the park is tourism, and since the number of guest rooms is limited to 18, the spa is minimalist. This does not mean, however, you cannot get a great massage and other essential spa treatments, which are a must-have after international travel and months and months of planning your wedding. Pumas laying next to each other in animal sanctuary in La Paz Waterfall Gardens. 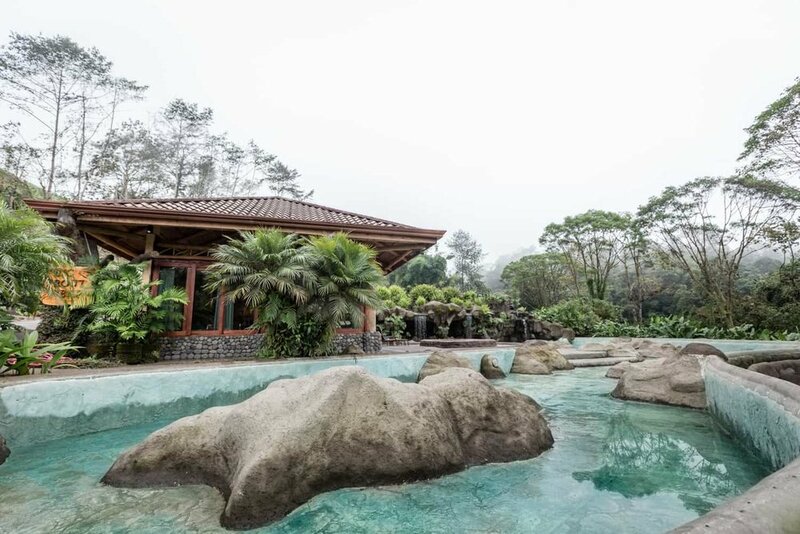 From most places and from all guest rooms and villas at Peace Lodge & La Paz Waterfall Gardens, you will have a bird’s eye view of an enormous cloud forest and the Poas Volcano. On the park’s hiking trails, you will encounter many exotic plants and animals and have wonderful views of 5 waterfalls located on the park’s property. At certain times of the day on most days, a thick fog will roll in over the mountains and consume everything in its impenetrable whiteness. The guest rooms and Villas at Peace Lodge are warm and cozy due to their design and finishings and they are quiet. The restaurants are likewise warm with great natural lighting coming in through the windows in the day, and at night they are dark enough to have an intimate or romantic dinner and still feel somewhat alone. During the day, the resort has a busy energy due to all the visitors walking about in the park area who have come to see the animals in the sanctuary and the natural attractions. When the park closes, its serenity returns and you can feel the vibrance of the night when all the nocturnal creatures awaken from their slumber. 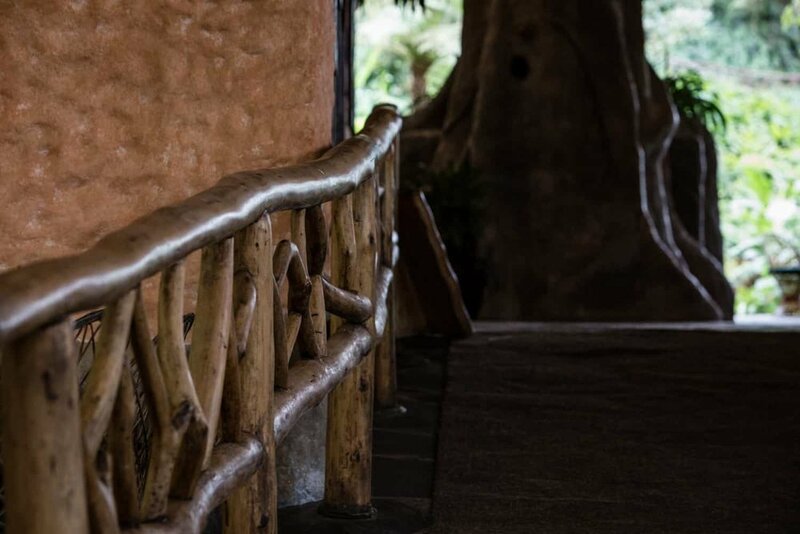 The natural beauty of Peace Lodge & La Paz Waterfall Gardens, in addition to its magnificent accommodations and stellar customer service makes it an unbelievable location for an unforgettable wedding. Want to see more places before deciding? You should. It's your wedding.